Farm workers provide an indispensable service, yet their jobs are some of the most dangerous and least adequately compensated in the country. Much of the injustice and inhumanity farm workers face stems from their specific exclusion from basic protections that workers in other sectors of society receive. This is sometimes called farm worker exceptionalism. For instance, the National Labor Relations Act (NLRA) of 1935 forbids employers from firing a worker for joining, organizing, or supporting a labor union. Farm workers were, and remain, excluded from the protections of the NLRA. Under law, workers are guaranteed certain labor protections to ensure decent working conditions. These protections have not always been guaranteed; workers struggled to win them through the Fair Labor Standards Act (FLSA) of 1938. Today, rights like guaranteed minimum wage and overtime pay have been around for so long that they are taken for granted. Once again, farm workers were excluded from the FLSA until 1966; and even now some of the provisions, such as overtime pay, do not apply for farm workers and farm that employs fewer than (roughly) seven workers in a calendar quarter are EXEMPT from all the FLSA provisions. The Migrant and Seasonal Agricultural Worker Protection Act of 1983 is the principal federal employment law for farm workers. The law contains some important protections such as employers must disclose terms of employment at the time of recruitment, farm labor contractors “FLCs” must be licensed by the U.S., provided housing must meet local and federal housing standards and transport vehicles must meet basic federal safety standards and be insured. Most farm workers lack basic labor protections such as workers’ compensation, health insurance and disability insurance. They also lack protection for joining unions and engaging in collective bargaining. Only a few states (notably California) have enacted any legislation protecting the organizing, collective bargaining, and unionization rights of agricultural workers. 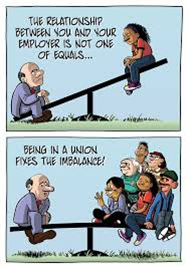 A union is an organization of workers that collectively bargains for wages and working conditions with a given employer. A union contract allows workers to report problems on the job without fear of getting fired. Why do farm workers want a union? A grievance procedure that grants them the ability to complain when their rights are violated. 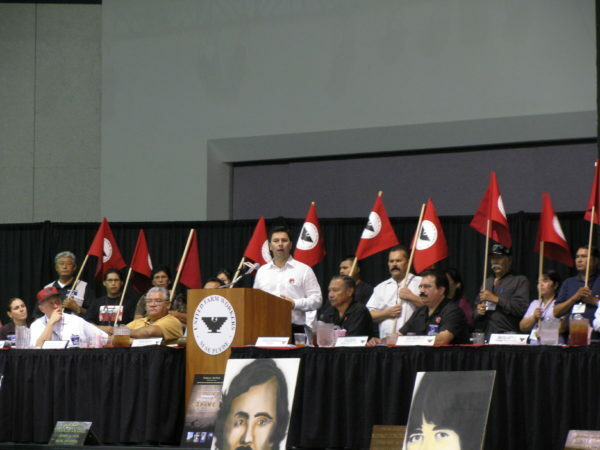 Is it true that farm workers can’t organize? Absolutely not! While exclusion of farm workers from legal protections has affected their ability to organize for better conditions, it certainly hasn’t stopped them. Against all of these odds, farm workers are organizing. Starting in California in the 1960s, farm workers led by Cesar Chavez and Dolores Huerta confronted this history of injustice and shame by taking their situation into their own hands and harnessing the power of the people to bring about change. Amidst difficult circumstances, farm workers are organizing themselves and challenging abuses. They are advancing important opportunities for creating sustainable change through union contract wins, food certification programs, the potential for corporate/grower/farm worker agreements, legislative efforts and civic engagement. 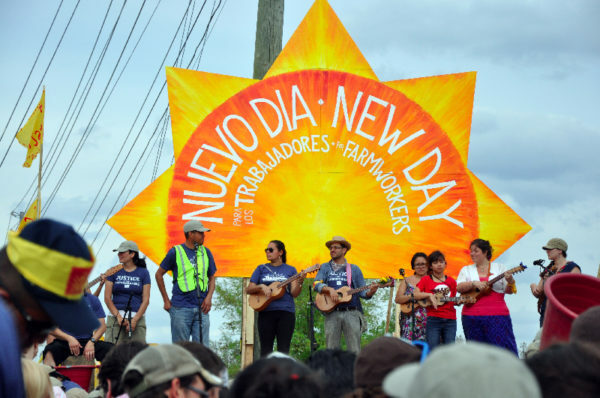 Today, the farm worker movement marches forward in bold and innovative ways. Please visit our pages on our farm worker partners and their campaigns to learn how they are organizing for justice.